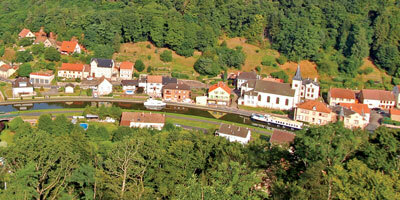 Considering a barge cruise in France? 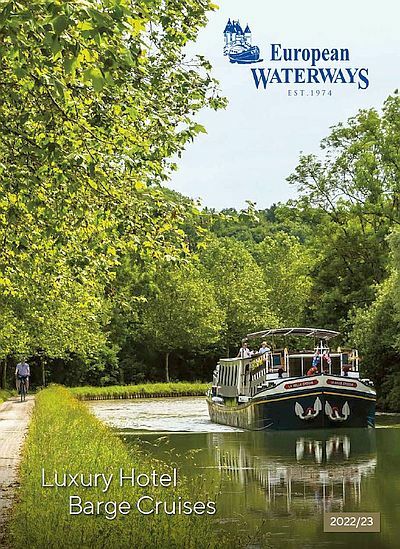 European Waterways promises to offer you the ultimate holiday for those who are seeking an alternative way to see France. This spectacular country, famous for its wonderful food, fine wine and picture postcard scenery, is just waiting to be discovered, and what better way to experience it than on a French barge cruise? Established in 1974 and operating since the early 1980s, European Waterways has a wealth of knowledge and experience to share with our clients. We offer the widest choice of destinations of any of our competitors. Cruising areas range from the Midi in Southern France to the Scottish Highlands and from Ireland in the West to Venice in the East. 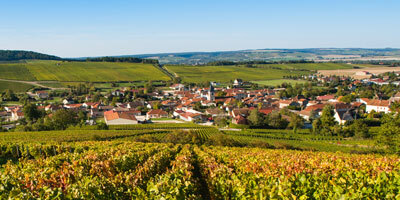 Nestled right at the heart of this beautiful country is Burgundy, a region often regarded as the place to go for the perfect French barge cruise. Famous for its wonderful wines, as you cruise through the region past acres and acres of sun-kissed vines, you will have the opportunity to stop and taste the delectable vintages at some of the most prestigious vineyards along the way. 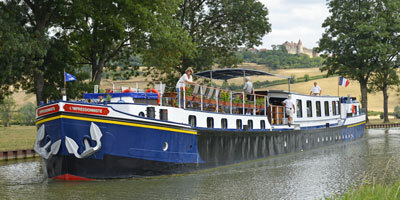 Besides Burgundy, the Canal du Midi is renowned for its fabulous options for a barge cruise. France’s sun-drenched waterway right in the south of the country winds along shady canals, bordered by trees that sway in the gentle breeze, while passing charming old villages and the remains of many interesting Roman buildings. The pace of life is easy-going and you will soon find yourself unwinding into the relaxed way of life that is par for the course on these holidays. 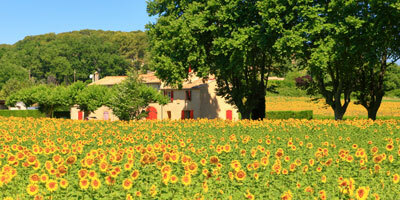 Heading west from the Midi is the charming region of Gascony, which is another idyll, perfect for a barge cruise. France’s Canal des Deux Mers winds through L’Occitanie, famous for its watercolour scenery, its beautiful orchards and endless vineyards, while Bordeaux is yet another wine paradise ideal for exploring by water. 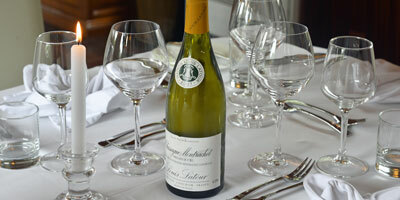 Good food and wine go hand in hand in France and a barge cruise in France’s Bordeaux exemplifies both. The chateaux of the Loire Valley offer the perfect backdrop to a French barge cruise. The vessel that tours the very essence of the Loire Valley along the River Cher is the only one of its kind in this region and we are proud to offer you a uniquely charming way to explore this magnificent land that oozes grace and incredible natural charm around every corner. Complementing the scenery are the fine examples of Renaissance architecture that add to the whole unique experience in this region. 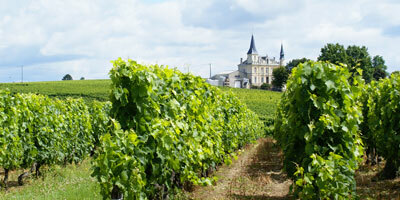 Of course Champagne, lying east of the capital city of Paris, has fabulous barging opportunities in abundance. Your French barge cruise in this region will see you winding your way through bountiful vineyards, passing rolling hills, and making detours to wineries that offer you the chance to taste the fruits of these famous lands. It is not just the delicious sparkling wine that has made this region famous though, and on a cruise through this historical area, you will encounter chateaux, cathedrals and other monumental landmarks. For those looking for something completely unique, we present some wonderful cruises in Alsace & Lorraine, which is on the eastern border of France. The distinct fusion of French and German culture is reflected in every element of community life here and as you gently cruise the canal you will find yourself visiting quaint villages, marvelling at fine Baroque and Romanesque architecture, and dining on regional specialities accompanied by the famous white wines of the region. France has more than 2700 miles of waterways, with rivers all linked up by a 750-mile network of canals, so there is endless opportunity to explore on the water. Imagine cruising along at a gentle pace, enveloped in the stunning scenery, and exploring the out of the way places that escape the main tourist trails, and all in the comfort of your own hotel barge? A French barge cruise could see you meandering down the canals of Briare, Nivernais, Burgundy or the Canal du Midi, among many others, and also offers you the opportunity to see some of the country’s finest countryside, experience real local culture and visit places of interest along the way. France offers so many options for barge holidays and whatever your choice of destination, the country will open its doors and reveal itself in ways you would never imagine. Local excursions allow you the chance to explore on foot and experience rural French life, while on board you will be indulged in wonderful food, fabulous vintages and very comfortable accommodation. Crew is, of course, on hand to take care of your every need while on your French barge cruise, so you can just sit back, enjoy the experience and unwind in the gentle pace of daily life on board. 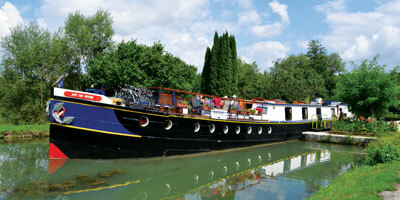 We have 13 hotel barges, which can accommodate between 6 and 12 passengers, spanning regions from Alsace to the Midi. The route of each of our barge holidays in France has been specially selected by us, so no matter where or when you cruise, we are sure to have the barge cruise for you. 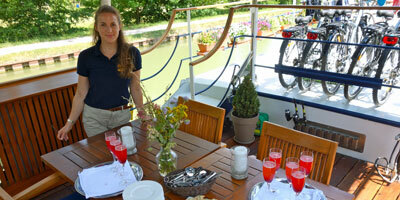 In the Summer and Autumn, hotel barge Panache cruises the beautiful waterways of Alsace. It is a region in Eastern France with a unique mix of French and German cultures, Baroque and Romanesque architecture, storybook villages, diverse culinary specialities and wonderful white wines. If you are looking to experience the best of the French countryside, a cruise on a Canal du Midi barge might be just the thing for you! Arguably the finest combination of regions one could barge through! From the mighty River Loire to France’s oldest canal, the Canal de Briare, a waterway steeped in history, past beautiful scenery and small country villages.